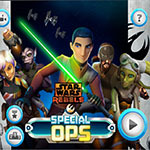 Play Star Wars Rebels Special Ops - HiHoy - Play Cool Games! A super adventure begins with Star Wars characters. For Star Wars fans, this game is a real treasure and one of the most exciting platform games! Hera, Ezra, Sabine, Kanan, Zeb and Chopper, which one would you like to play with? On three different planets, you will fight against some rebels with these superheroes. You can play this game with your friend by choosing "Versus and Co-Op" modes. Let the adventure begin in space. 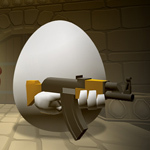 Game controls: Move: "ARROW KEYS" Double Jump: "UP ARROW + UP ARROW" Attack: "SPACE" Special Attack: "X" Have fun!